Everest Base Camp too busy? 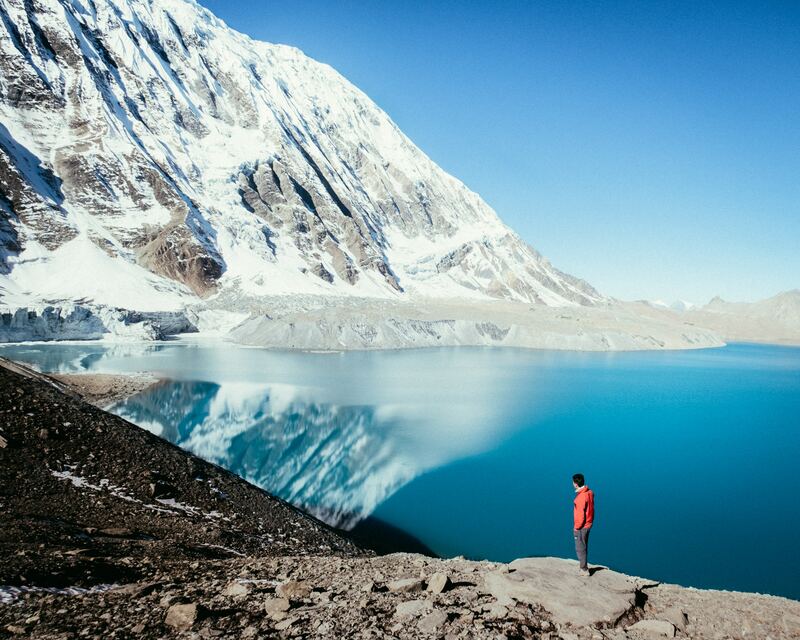 Try the Gokyo Lake Trek in the Everest Region. 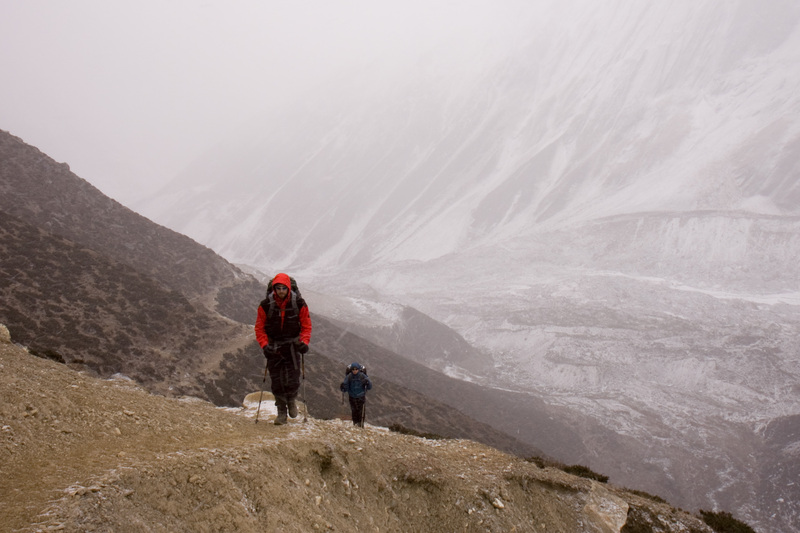 With this fine alternative route you climb the valley to the west of Mount Everest. But the trails are less crowded and the lodges quieter. 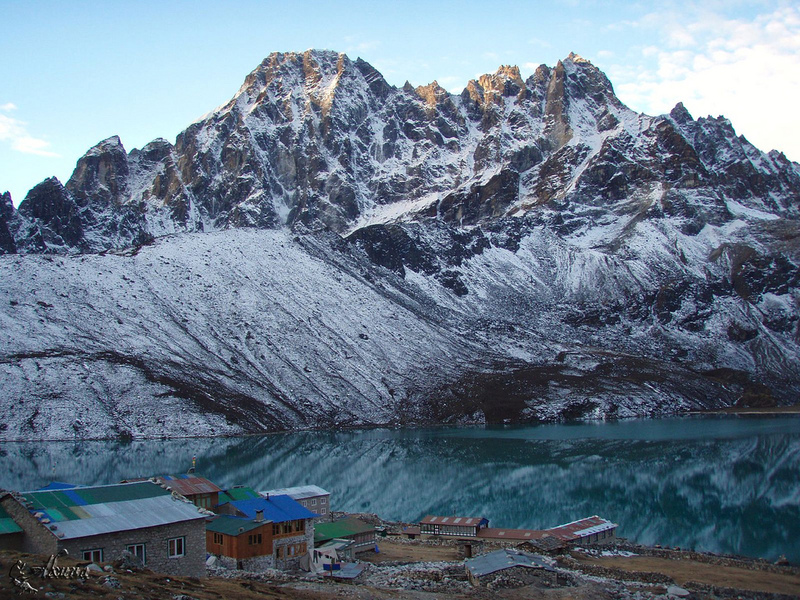 This route leads you to Gokyo Village, the sacred Gokyo lakes on the moraine beside the Ngozumpa Glacier. 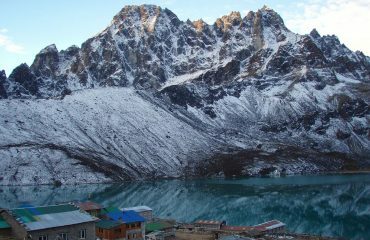 Gokyo Village is a Sherpa village. It is, if we’re lucky, complete with huge herds of yaks. Here we will also climb up to Gokyo Ri. 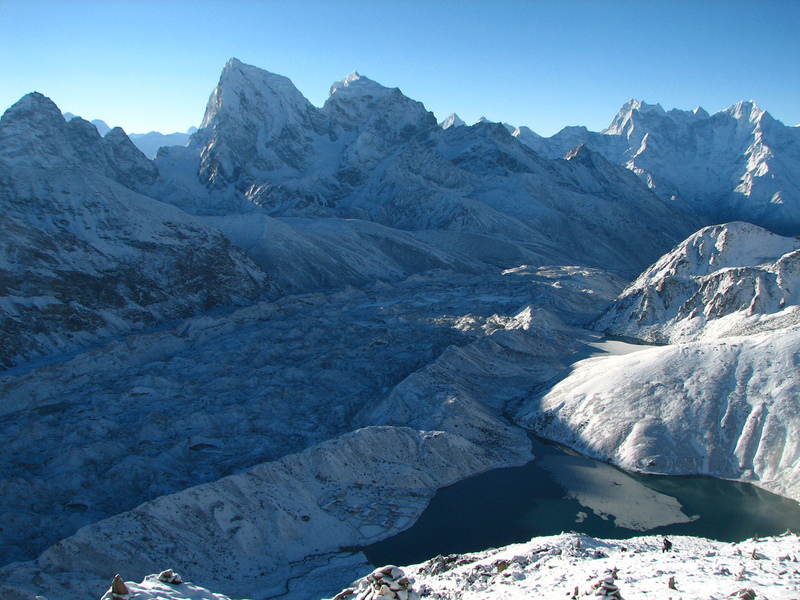 This is a great viewpoint to behold world’s massive Mount Everest and many more sky high peaks. 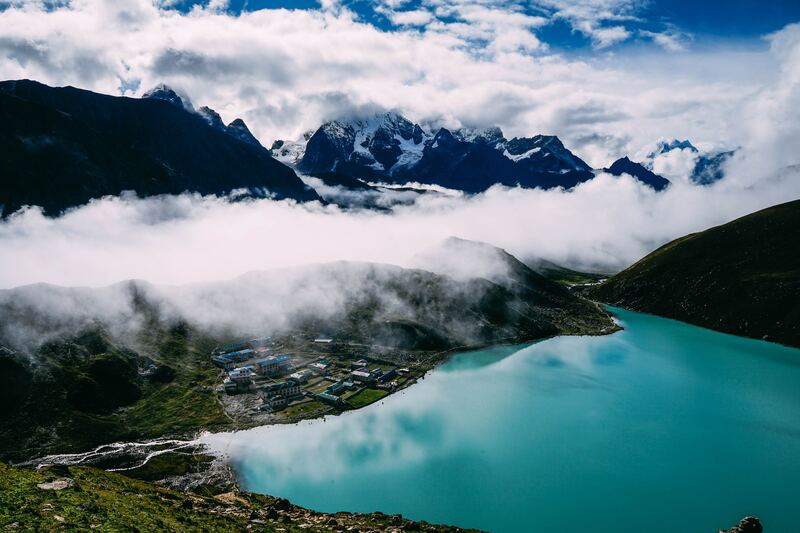 All about the Gokyo Lake Trek. This two-week spectacular climbs almost as high as the Everest Base Camp trek and offers similar jawdropping Everest views. But the trails are less crowded, the lodges quieter and the villages along the trail have a reason to exist over and above serving dal bhat. 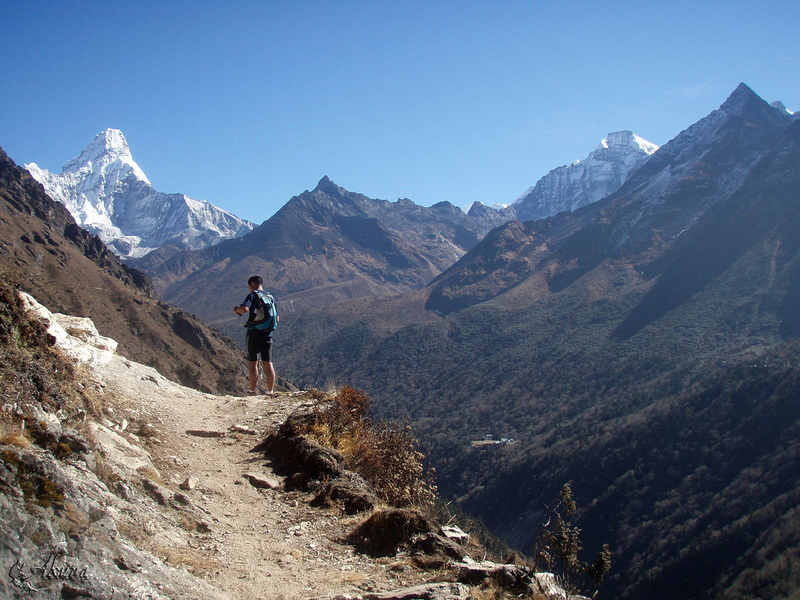 The trail follows the Everest Base Camp route as far as Sanasa, above Namche Bazaar. Then it follows the river Dudh Khosi to its source – a series of emerald-green lakes along the moraine of the Ngozumpa Glacier. 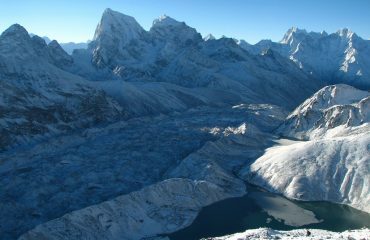 Beside the largest of these lakes in a basin of snow peaks is Gokyo Village. It is a Sherpa village, complete with huge herds of yaks. 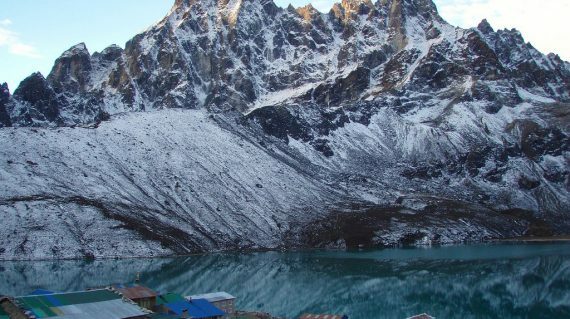 If you’re looking for a longer trek with more adventure, the Gokyo Valley is also part of a thrilling 21-days. 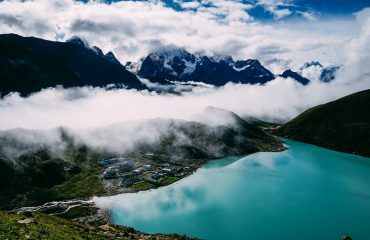 With that trek, you will also trek to Everest Base Camp and cross the three high passes of Kongma La (5535m), Cho La (5420m) and Renjo La (5345m). 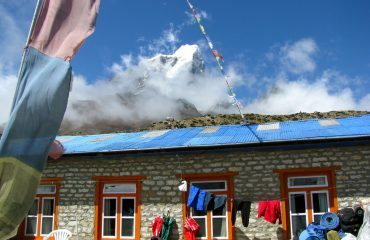 Go for more info about this trek to Everest Base Camp [three high passes]. 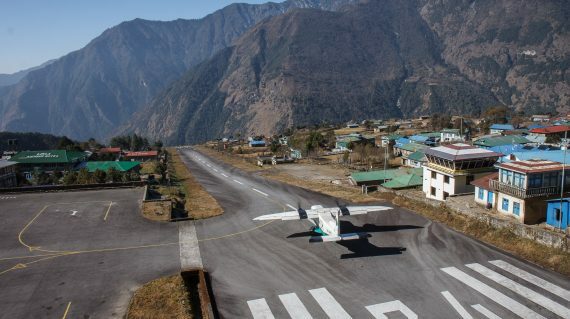 Early morning, your guide takes you to Tribhuvan International Airport for the short but scenic flight to Tenzing and Hillary Airport at Lukla (2804m). Upon arrival at the airport, your guide will brief you and introduce your porters before beginning your trek towards Phakding. 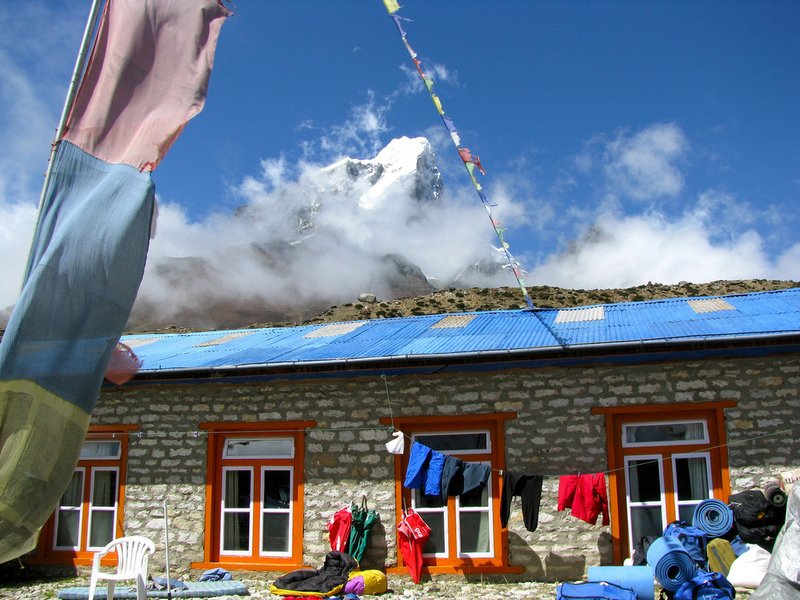 After landing we take our time to explore the village while your sherpa crew sorts and loads the trekking equipment. 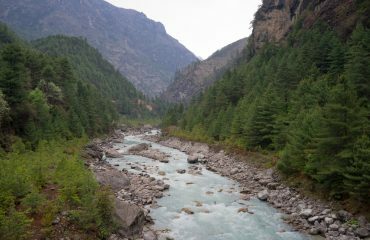 Then we begin the trek by descending towards the river Dudh Koshi where we join the main trail to Namche Bazaar, located just above Chaunrikharka (2713m). 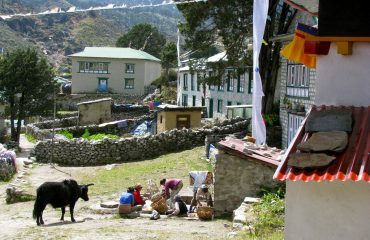 The walk is easy and after passing through the small village of Ghat (2550m) it is a short walk to Phakding (2610m). 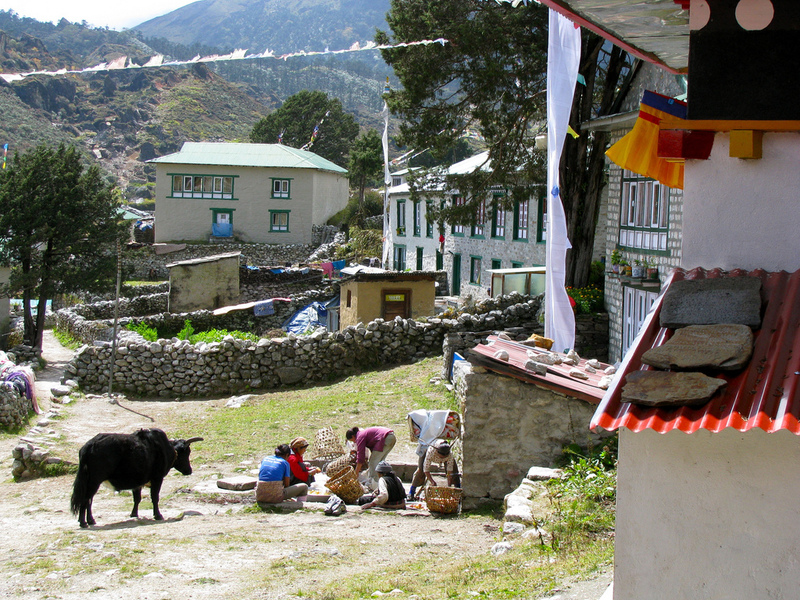 We spend a day in Namche Bazaar in order to acclimatize and adjust to the thinning of the air. 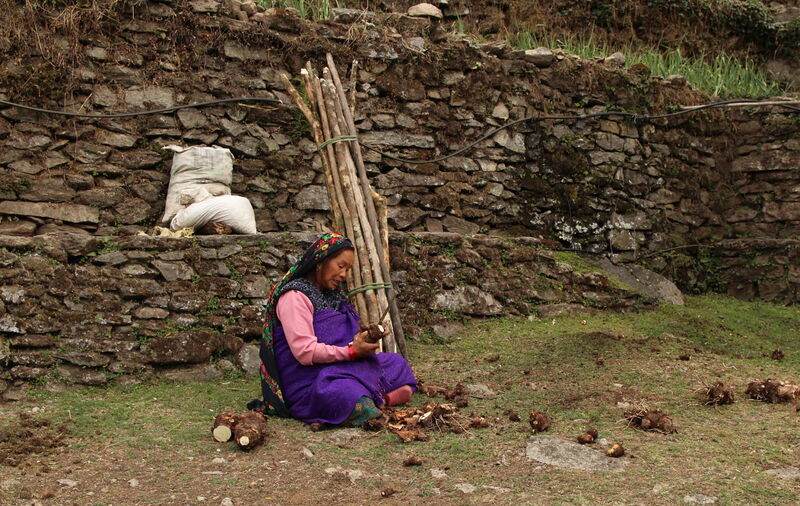 Today we can make a short trek to a museum that celebrates the traditional customs of the Sherpa people. 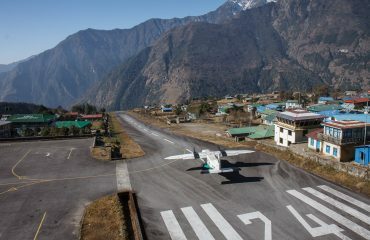 Or we can hike up the Syangboche Airport around Everest View Hotel. 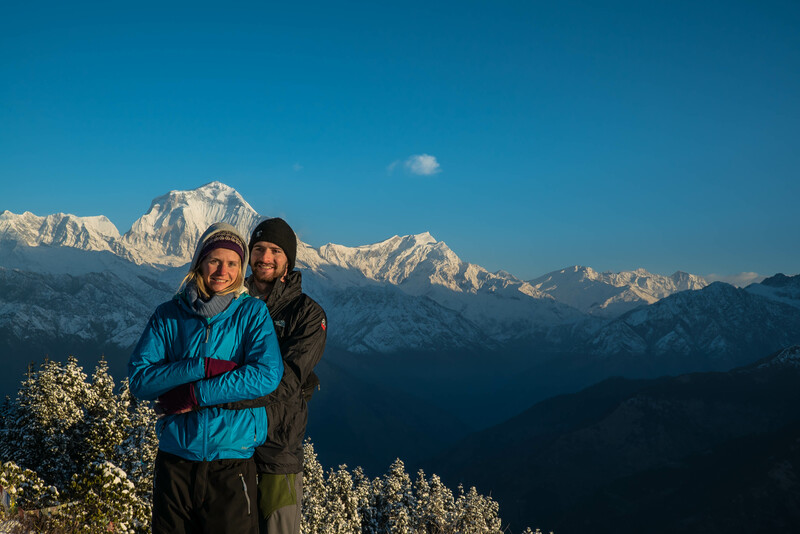 From this point, we can see rewarding views of the Himalayas with stunning sunrise and sunset over the panorama of Khumbu peaks. 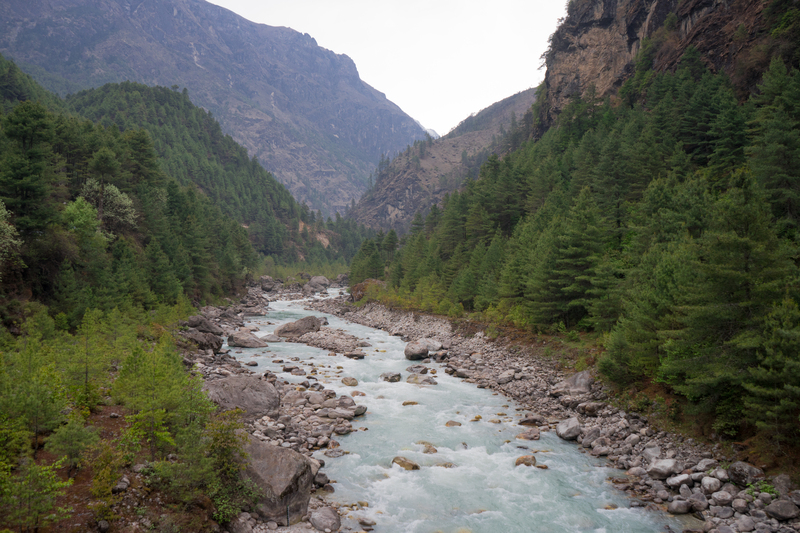 As we continue the trail heading north, we will reach Sanasa, below Khumjung on the west side of the river Dudh Khosi. After Sanasa, the path crosses the lower slopes of Khumbila (5761m), the mountain that rises above Namche. 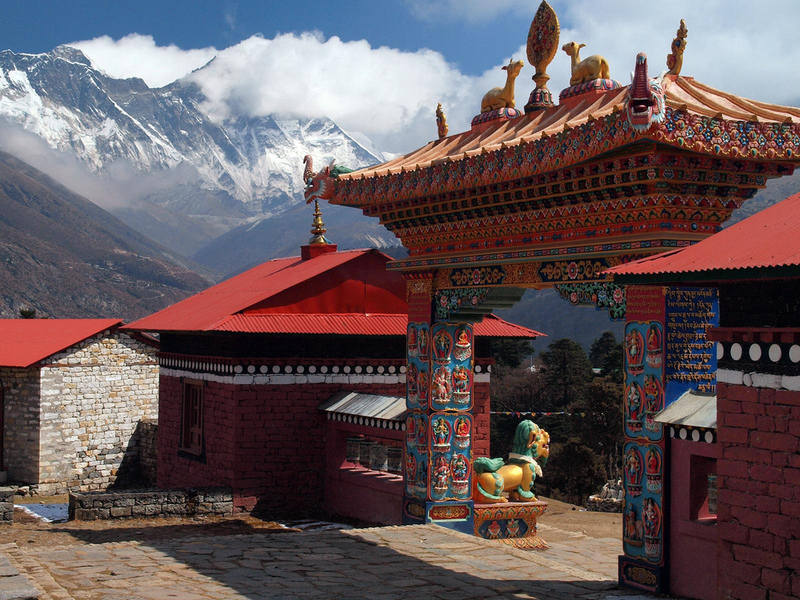 Sherpas worship this mountain as abode of the patron god of the Khumbu Region. The Sherpa name Khumbu Yul Lha translates as ’God of the Khumbu territory’. On thangkas (cloth paintings) and monastery murals, you will see Khumbu Yul Lha depicted as a white-faced riding a white horse. As we climb up the side of the ridge and look across the valley, we can pick out the houses of Tengboche on the ridge below Ama Dablam (6856m) and the walled fields of Phortse sprawling across a flat-topped ridge below the snow-dusted peaks of Taboche (6541m) and Cholatse (6443m). The track contours around the ridge to a knot of teahouses and a stupa clinging to the edge of a small pass at Mong La (3975m). North of Mong La, the trail drops steeply on switchbacks through pine forests with intermittent views towards our village for tonight: Phortse Thenga (3680m). With the peaks rising dramatically above, you may feel a temptation to go charging up the mountain to the snowline. Resists. We are already ascending fast enough. Really. The morning walk is quite easy. We trek through a dense forest of tall, old pines and moss-covered rhododendrons. The path squeezes past some enormous boulders and crosses a series of rocky cascades, rising past the stone summer houses of herders from Khumjung. From Dole (3950m) we can have good views south towards Khumbila. After Dole, we have a steep climb ahead of us out of the forest to an increasingly barren hillside, covered in tundra grasses and dotted scrub junipers. 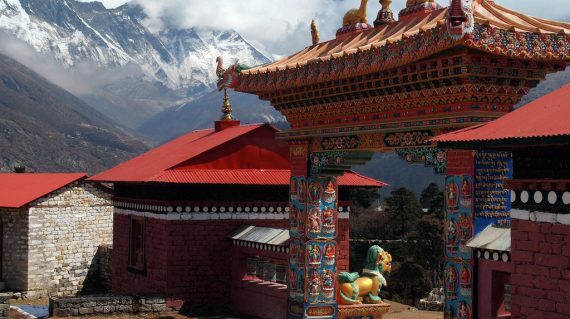 When we cross the valley, past the village of Lhabarma (4330m), we pass a chorten. 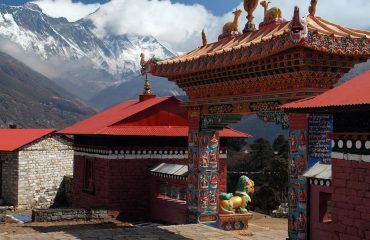 The trail climbs gently past a large chorten to Luza (4340m), tucked into a side valley. Then, the trail continues to climb along the side of the valley, over a series of sandy hummocks. Soon we reach another chorten and fluttering praying flags on the outskirts of Machhermo (4410m). The village is tucked into a wide, flat-bottomed valley below the terminal moraine of the Ngozumpa Glacier. From today, we trek back down again. Going downhill is much faster, which allows us to pass by Machhermo, where we slept a few days earlier, and sleep in Dole (4090m). In stead of retracing our trail further, we trek via Khumjung (3780m). This is the largest village in Khumbu, which sprawls below the peak of Khumbila (5761m). It has a small and atmospheric gompa, reached by a winding path. 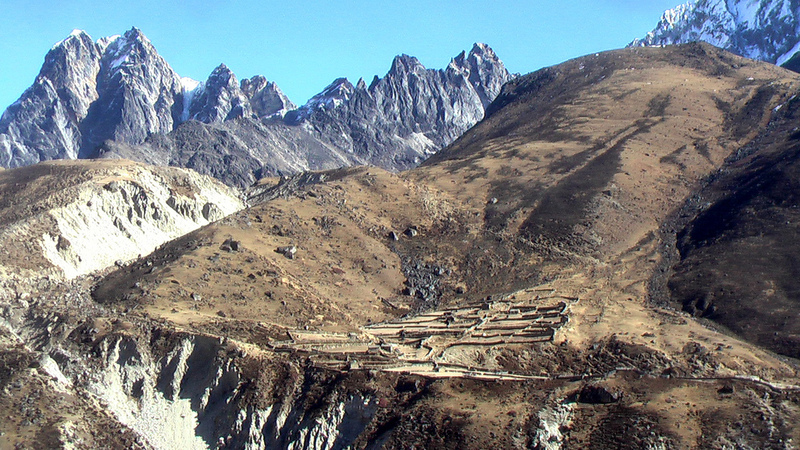 From the flat area in front of the gompa, there are views east to Ama Dablam and the rocky pyramid of Tramserku, and north to the crags of Khumbila. The swirling clouds make these rocks look like monstrous claws. 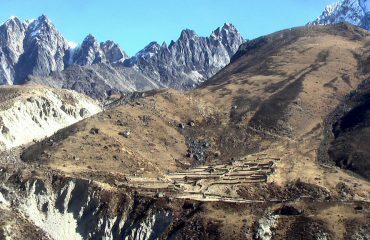 From Khumjung, it is only a short walk left downhill. We climb into a forest, through a ravine and junipers and cross the airfield. We zigzag down, pass a huge maniwall at Chhorkung and reach Namche Bazaar. 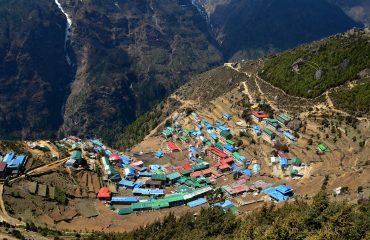 Even though this is the last walking day of the trek, most trekkers find the descent from Namche Bazaar to the river Dudh Khosi the hardest stage of the entire trek. Although the path is all downhill, the unrelenting slope places massive impact on the knees. Once we cross the suspension bridge, the trail runs mostly level to Jorsale and then climbs to Monjo. From here, the last part of the last day, is an easy run. 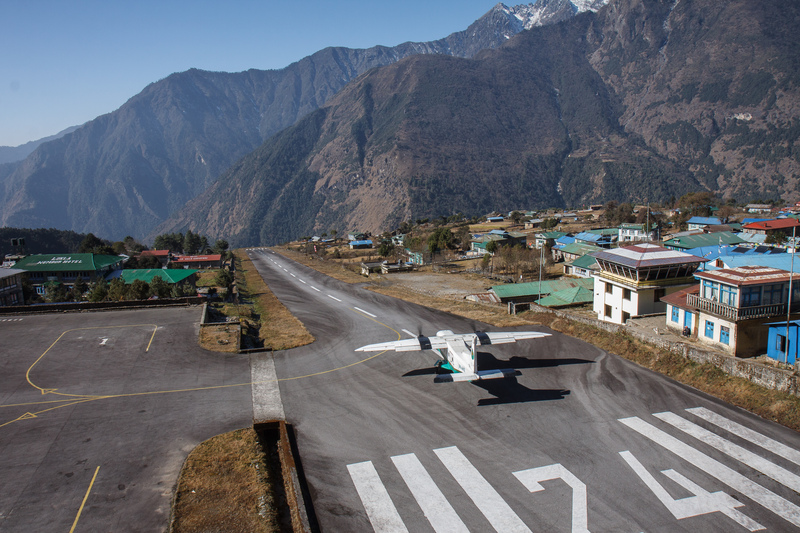 Once we have reached Lukla (2804m), we reconfirm our flight for the next day. If it’s the final day of your holiday in Nepal. So, we will bring you back to the international airport. Goodbye friends! We hope that we will meet each other again in the future. In Kathmandu, before and after your Gokyo Lakes trek, you will be staying at a 3-star hotel with a private bathroom and wifi. The hotel has a prime location, in the travellers neighbourhood Thamel. This are nearby many restaurants, trekking gear shops and supermarkets. 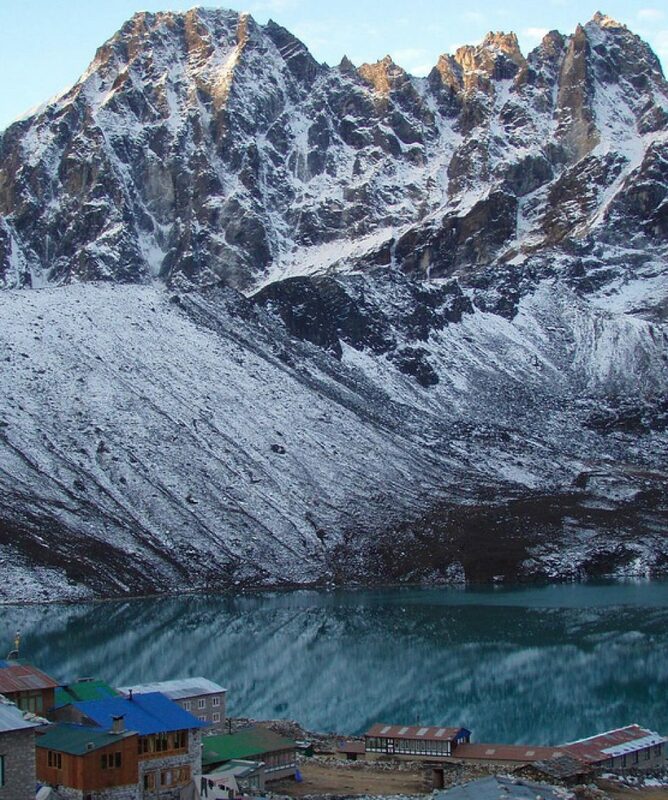 During your Gokyo Lakes trek, you will be staying at mountain lodges. North of Lukla, the lodges are broadly identical stone houses. They have small, double rooms and mostly shared bathrooms. to Machhermo by Rick McC.